In what appears to be one of the few times that a judge has felt justified in allowing the inspection and imaging of employees’ computers, the High Court has ordered that an employer may instruct an independent computer expert to inspect and take images from the personal computers of two former employees. The business was granted a mandatory injunction after information came to light which suggested that the individuals had misused confidential information belonging to the employer during their employment. The court took into account the fact that it had a high degree of assurance about the strength of the employer’s claim, and that the business had taken years and used significant resources to create the confidential information at the heart of the proceedings. The fact that the inspection and imaging would be carried out at the employer’s expense is also likely to have been an important factor in the judge’s decision making. What is a mandatory injunction? A mandatory injunction is a court order requiring a person to take a particular action. After employment has ended, this duty survives but only to the extent that it protects trade secrets. 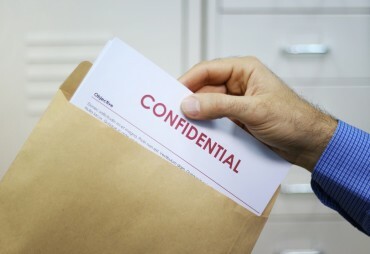 Other confidential information may be protected but only by means of an express term in the employment contract. The content of this Business Briefing is for information only and does not constitute legal advice. It states the law as at May 2014. We recommend that specific professional advice is obtained on any particular matter. We do not accept responsibility for any loss arising as a result of the use of the information contained in this briefing.